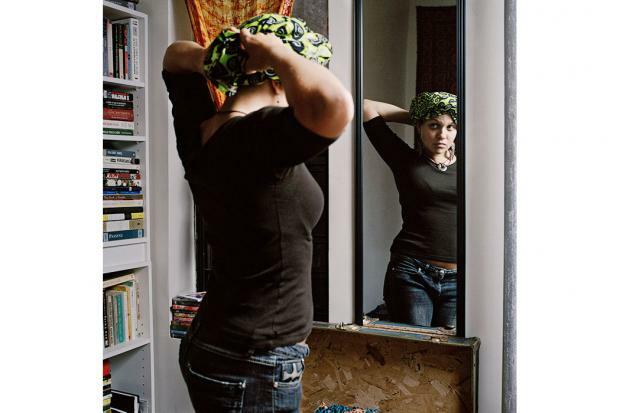 WASHINGTON HEIGHTS — An Israeli television ad inspired Washington Heights photographer Yael Ben-Zion's latest exhibition. The ad, which Ben-Zion found in 2009, targeted young Jewish people and showed the children of mixed marriages on "lost" fliers taped to telephone poles. "We are losing these kids to mixed marriage," Ben-Zion recalled the flier as saying. "I guess to them intermarriage meant being lost to Judaism." The ad struck a chord with Ben-Zion, who herself is married to a non-religious French husband with whom she has two children. It made her start to question her own notions of intermarriage. She found some answers to those questions with her camera and the result is "Intermarried," an exhibition on interfaith and interracial marriages that is showing at Boricua College through Feb. 3. Photographer Yael Ben-Zion explores interracial and inter-faith marriages in her new gallery "Intermarried." 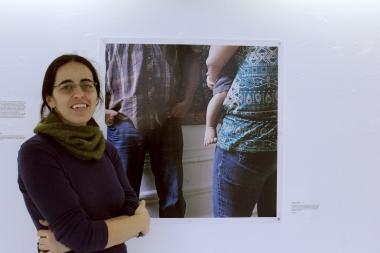 The gallery features 47 photographs of 20 families photographed between 2009 and 2013. Most of the families are from Washington Heights. Ben-Zion found subjects from the popular Parent and Me email listserv. Then she went to work, talking with and photographing the families. The families featured all identify themselves as intermarried, Ben-Zion said, noting that it was important to her that she not place any labels on them. Religion is a recurring theme in the couples photographed, Ben-Zion said, pointing to a photograph of a black husband and Caucasian wife. "They say they're coming from different and segregated communities," Ben-Zion said. "But the fact that they're both Christian and both raised in Church made it easier for their families to accept them." A second image shows a wife baptizing her husband in the family's bathtub. While both are Christian, the husband — who has angel wings tattooed on his back — was never baptized, which was something that was important to the wife. Ben-Zion hopes that the gallery will get viewers to approach the topic of intermarriage with a fresh set of eyes. "Everyone approaches the topic with a set view point, but I just want people to rethink their misconceptions." "Intermarried" is also available as a book and can be purchased from Amazon.com. The gallery is located at Boricua College's La Galeria, 3775 Broadway, Fourth floor. An artist reception will be held Friday from 6 p.m. to 8 p.m.